A Real Work of Art ! The fact that Fiat plans to put the "Jeep" brand on several of its platforms doesn't really surprise me...according to an article from the AutoWeek website entitled Jeep to Use Fiat Platform. Jeeps previous alliances with Renault/Peugeot (AMC), Mitsubishi and Daimler (Chrysler) have found several, once all American Jeep models with a hodgepodge of foreign made parts...many of which were quite inferior. 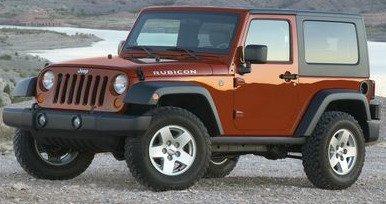 Fiat seems to be heading down that same failed road by using the "Jeep" name on vehicles which have no connection with the Jeep heritage. Purist or no purist, the suits at Chrysler should be screaming at the suits from Fiat to get back to what makes Jeeps so special in the first place. Surely some of them remember. No other vehicle manufacturer can trace its roots farther back than Jeep...and now the only semblance of that lineage is the Wrangler. So now Fiat is indicating that it wants to play around with the Wrangler as well and try to turn it into a mere shadow of itself. I'm all for more fuel efficient engines, but not at the expense of taking the meat out of the only real Jeep left. Remember the Hummer and what General Motors did to the original military Humvee? Well, at least that monster has been discontinued (no offense to civilian Hummer lovers). The American automotive companies need to clean up their collective acts and start competing with the rest of the world rather than selling out to foreign countries. If Fiat screws up Chrysler even further, and especially ruins the Jeep, I would rather see this American icon fade into oblivion than become just another European, cookie cutter, gas sipping micro-box.